Good day ! We are interested in equipment for washing valerian roots. 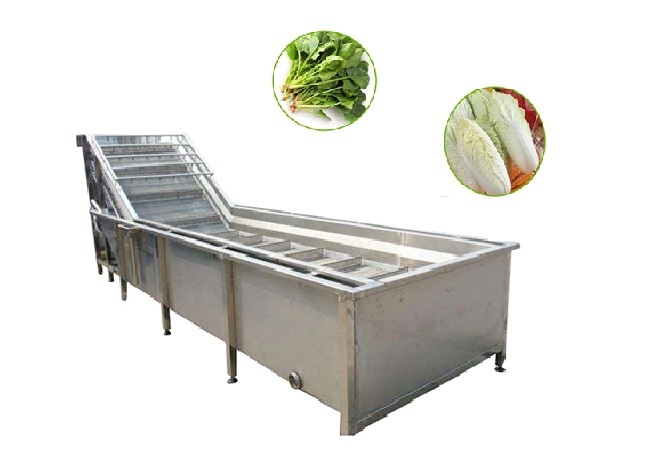 We suggest the Industrial Vegetable Washing Machine, it is fit for the production of foods, inside the equipment is set air bubble device which made material turning, washing surface chemical, at the same time can be put little pharmaceutics to disinfection and fixation. Floating objects can be overflowed from overflow launder; calcium deposit can be discharge from sewage outlet, up to deep clean.It is high cleanness-degree, saving emerge, water, reliable and stable.It is proper for all kinds of vegetable, fruit, sea food and other pellets, leaf, tubers products washing, soak, sterilize, color fixing and so on. Widely used in factory, hotel, restaurant and farm to wash all kinds of vegetable and fruits thoroughly. Materials fall into the water, the use of churning water tank material will be stirred to clean the material with the sediment and other heavy dirt after falling into the filter below the sedimentation area, the material in the water to promote the gradual move to the transport network Belt, was raised out of the tank body, and then after the spray cleaning, the material washed twice, into the following process. Rinse off the rinse, after the filter to intercept. In the course of work, the inlet pipe and the sprinkler pipe always supply water, so that the sewage inside the water tank is replaced gradually.